Can anyone tell me what makes a collection? Is it more than 1 of something? Or do you have to have a line-up for it to be considered a collection? And when does the collection begin? Is it serendipitous? Or is it more deliberate? 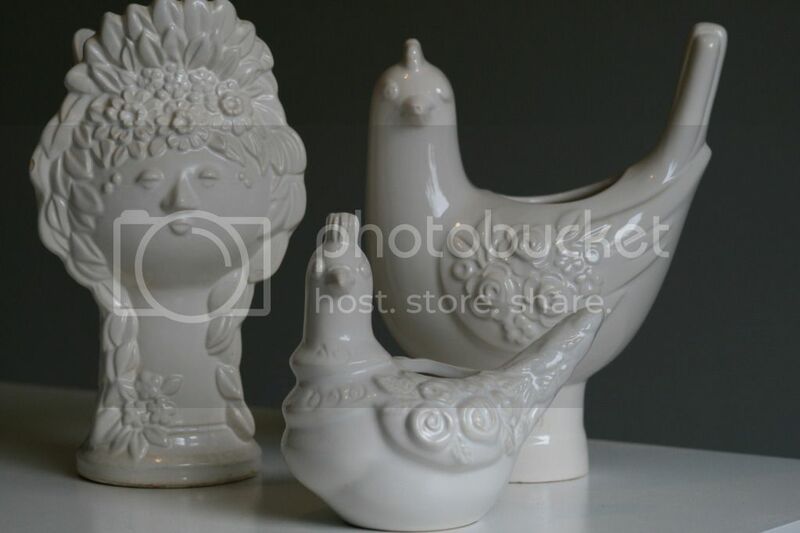 In the last three months, and in three different thrift store locations, I picked up three different white ceramic pieces that I was drawn to. The most recent one was this past weekend. Although the pieces are different, there was something similar about them. So today I had a closer look at the stamps on bottom and it turns out they are all made by the same artist, Rosa Ljung, who was with ceramics company Deco in Helsingborg, Sweden, from ’67-’83 (what did we ever do without the Internet?). I’ve ended up with three pieces by the same ceramics artist without even knowing it. I think that is the beginning of a collection. 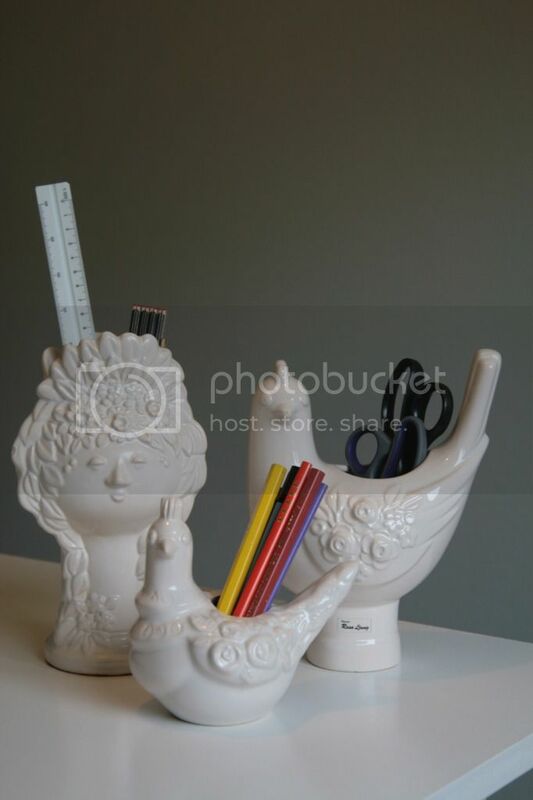 All three are vases, but I think they could also make the most delightful office supply holders for our home office remodel as it progresses. I’d like to find more pieces, but I am nearly convinced that once I start deliberately looking, I won’t be able to find them. So…my tactic for getting more pieces to add to my little collection will definitely be to not look for them! What’s your favorite or most unusual collection and how did it get started? Was it deliberate? Or chance? https://recreatedesigncompany.com/wp-content/uploads/2016/04/logo-512x512_white-text-1.png 0 0 Mike Helander https://recreatedesigncompany.com/wp-content/uploads/2016/04/logo-512x512_white-text-1.png Mike Helander2011-09-13 18:10:002011-09-13 18:10:00What Makes A Collection?